– The Bible is the most commonly used English word referring to the collection of sacred writings representing the religion of Judaism and/or Christianity. In general, the Jewish Bible is called the Tanakh, while the Christian Bible is commonly known as the Holy Bible. – The Bible of Judaism, known as the Tanakh in the Hebrew language, is also called the Jewish Bible, the Hebrew Bible, Hebrew Scriptures, or even the Old Testament. It consists of 24 different books which have been divided into three separate groups known as the Law, or Torah in Hebrew (5 books), the Prophets, or Neviim in Hebrew, (8 books), and the Writings, or Ketuvim in Hebrew (11 books). 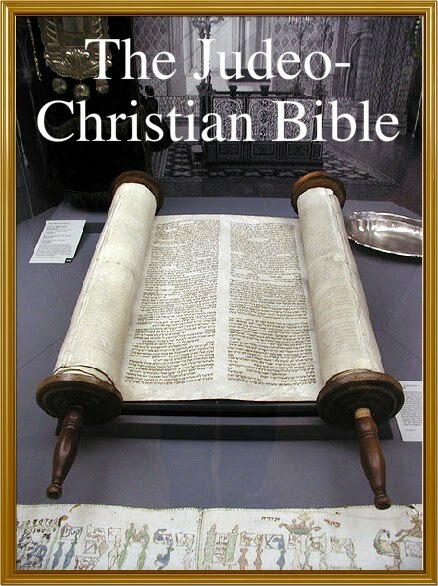 – The Bible of Christianity, commonly known as the Holy Bible, also called Scriptures, is composed of two completely different sections called the Old Testament (originally written in Hebrew) and the New Testament (originally written in Greek). – Some versions of the Christian Old Testament (written in Hebrew) include books which Judaism never fully accepted as Scriptures. Because of these historical differences in opinion, the total number of book in the Christian Bible can vary from 66 books up to 78 books. The New Testament, however, remains the same 27 books for every single form of Christianity. – The Protestant Christian Bible includes 66 total books (39 in Old Testament, 27 in New Testament), the Catholic Bible has 73 books (46 in Old Testament, 27 in New Testament), and the Eastern Orthodox Bible contains 78 books (51 in Old Testament, 27 in New Testament). – In terms of the Old Testament, or Hebrew Bible, there are 39 books in Protestant Christianity, 46 books in Catholic Christianity, and 24 books in Judaism. – Most of the Old Testament is written in Hebrew, the language spoken by the Israelites.Except for a few words and sentences, the New Testament was composed in Greek, the common language in the Hellenistic world. – The Seven additional Old Testament Books are called “deuterocanonical” by the Catholic Church and “apocryphal” by Protestants, who’ve removed them from their Bibles. Our Rabbis taught- The order of the Prophets is, Joshua, Judges, Samuel, Kings, Jeremiah, Ezekiel, Isaiah, and the Twelve Minor Prophets. The order of the Hagiographa is Ruth, the Book of Psalms, Job, Prophets, Ecclesiastes, Song of Songs, Lamentations, Daniel and the Scroll of Esther, Ezra and Chronicles. Who wrote the Scriptures? Moses wrote his own book and the portion of Balaam and Job. Joshua wrote the book which bears his name and the last eight verses of the Pentateuch. Samuel wrote the book which bears his name and the Book of Judges and Ruth. The Psalms were composed by ten individuals: Adam, Abraham, Moses, David, Solomon, Asaph, Heman, Jeduthun, Korah’s three sons (taken as one of the composers), and Ezra. But although they were composed by ten different individuals, David’s name alone is connected with them. Jeremiah wrote the book which bears his name, the Book of Kings, and Lamentations. Hezekiah and his colleagues wrote Isaiah, Proverbs, the Song of Songs and Ecclesiastes. The Men of the Great Assembly wrote Ezekiel, the Twelve Minor Prophets, Daniel and the Scroll of Esther. Ezra wrote the book that bears his name and the genealogies of the Book of Chronicles up to his own time. That King Solomon held the fear of God in high estimation we glean from the fact that his two great books, those of Proverbs and Ecclesiastes, conclude by saying that the fear of God is above everything. You are not permitted to select injunctions of the Torah which you consent to observe, and reject others for the observance of which you can find no reason. In accepting God’s word one is bound to implicit obedience to all of it. It is prohibited to add to the canon of the Bible, consisting of twenty-four books. A preacher must be well conversant with the whole twenty-four books of the Bible. If he is deficient in the knowledge of one of these books it is as bad as if he had no acquaintance with any of them. – Part I. The Law (Torah): This first section of the Jewish Bible, known simply as the Law, or the Torah, contains 5 individual books including: (1) Genesis, (2) Exodus, (3) Leviticus, (4) Numbers, and (5) Deuteronomy. This same group of texts are also referred to as the Five Books of Moses, or the Pentateuch, by Christianity. – Part II. The Prophets (Neviim): This second section of the Jewish Bible, called the Prophets, or Neviim, contains the following 8 books: (6) Joshua, (7) Judges, (8) Samuel, (9) Kings, (10) Jeremiah, (11) Ezekiel, (12) Isaiah, and (13) the Book of the Twelve. In Christianity, this same collection is organized into 21 different Old Testament books. – Part III. The Writings (Ketuvim) This third and final section of the Jewish Bible is known as the Writings, or Ketuvim, is composed of 11 books which include: (14) Ruth, (15) Psalms, (16) Job, (17) Prophets, (18) Ecclesiastes, (19) Song of Songs, (20) Lamentations, (21) Daniel, (22) Esther, (23) Ezra and (24) Chronicles. In Christianity, these same documents are traditionally divided into 13 different Old Testament books. – In the Jewish Bible, the last book in the second section of ‘The Prophets’ (Neviim), called the Book of the Twelve, contains 12 books of the Christian Old Testament books, including: 1. Hosea, 2. Joel, 3. Amos, 4. Obadiah, 5. Jonah, 6. Micah, 7. Nahum, 8. Habakkuk, 9. Zephaniah, 10. Haggai, 11. Zecariah, 12. Malachi. These are known as the 12 minor prophets. With the death of the three last of the latter prophets, namely Haggai, Zechariah and Malachi, the Holy Spirit (prophecy) ceased, but use was made of the echo. – The Bible of Protestant Christianity contains 66 books (39 Old Testament, 27 New Testament); the Roman Catholic Bible contains 73 books (46 Old Testament, 27 New Testament); the Eastern Orthodox Bible contains 78 books (51 Old Testament, 27 New Testament). All of them include the entire text of the Hebrew or Jewish Bible, which is traditionally organized into only 24 books. – Bible translations developed for Catholic use are complete Bibles. This means that they contain the entire canonical text identified by Pope Damasus and the Synod of Rome (382) and the local Councils of Hippo (393) and Carthage (397), contained in St. Jerome’s Latin Vulgate translation (420), and decreed infallibly by the Ecumenical Council of Trent (1570). This canonical text contains the same 27 NT Testament books which Protestant versions contain, but 46 Old Testament books, instead of 39. These 7 books, and parts of 2 others, are called Deuterocanonical by Catholics (2nd canon) and Apocrypha (false writings) by Protestants, who dropped them at the time of the Reformation. – The Deuterocanonical texts are Tobias (Tobit), Judith, Baruch, Ecclesiasticus (Sirach), Wisdom, First and Second Maccabees and parts of Esther and Daniel. Some Protestant Bibles include the “Apocrypha” as pious reading. – The Vulgate Bible, the Latin Bible for the Catholic Church, is an early 5th-century Latin version of the Bible, largely the result of the labors of Jerome, who was commissioned by Pope Damasus I in 382 to make a revision of old Latin translations. It became the definitive and officially promulgated Latin version of the Bible of the Roman Catholic Church. May the LORD God bless you in the name of St. Moses and St. Peter.